Bruce Bennett defends product manufacturers of all types against product liability disputes and personal injury claims. He focuses his practice primarily in the automotive and recreational vehicle industries and has substantial experience in the areas of Magnuson-Moss warranty enforcement and Florida Lemon Law. Mr. Bennett also represents power tool manufacturers, household product/chemical manufacturers, insurance companies and other corporate entities in product liability litigation. Many major automotive/RV companies are among Mr. Bennett's clients. He represents BMW of North America, Ferrari North America, Maserati North America, Mini of North America, Porsche Cars North America, Rolls-Royce Motor Cars North America, and Tiffin Motor Homes. Mr. Bennett has been the Partner-in-Charge of the Tampa office since it opened in 1994. 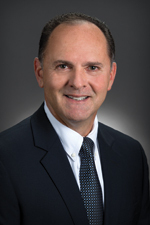 He joined Hinshaw & Culbertson LLP's Miami office in June of 1992. Prior to joining Hinshaw & Culbertson LLP, Mr. Bennett was a partner at Kimbrell and Hamann, P.A. in Miami, Florida. Bruce is a native Floridian who has been married for 28 years and has two children.